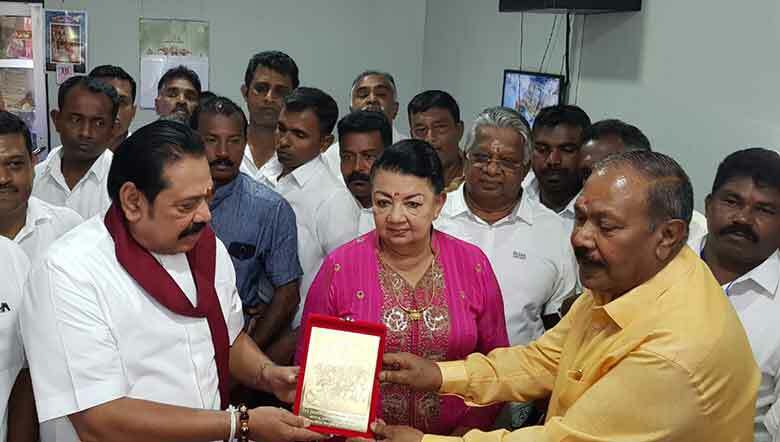 lanka C news | විමල් විරුද්ද වෙද්දී මහින්ද-අනුර අලුත් එකමුතුවක් හැදේ.. සාකච්චා ඇරඹේ..
විමල් විරුද්ද වෙද්දී මහින්ද-අනුර අලුත් එකමුතුවක් හැදේ.. සාකච්චා ඇරඹේ..
විධායක ජනාධිපති ධුරය අහෝසි කිරීම සදහා එළැඹෙන සතියේදී හිටපු ජනාධිපති වත්මන් විපක්ෂ නායක මහින්ද රාජපක්ෂ මහතා සමඟ සාකච්ඡා ආරම්භ කරන බව ජනතා විමුක්ති පෙරමුණ පවසයි. විධායක ජනාධිපති ධුරය අරහෝසි කිරීමට මහින්ද රාජපක්‍ෂ පාර්ශවයේ සහාය අත්‍යවශ්‍ය බවත් ඔවුන්ගේ සහාය නැතිව එය කල නොහැකි බවත් ජවිපෙ නායක අනුර දිසානායක මහතා කියයි. ජවපෙ නායකමා මෙම අදහස් පල කරන ලද්දේ එම පක්‍ෂ මූලස්ථානයේදී පැවති මාධ්‍ය හමුවක් අමතමිනි. කෙසේ වෙතත් මහින්ද රාජපක්‍ෂ මහතාගේ පාර්ශවයම නිවෙයා්ජනය කරන ජාතික නිදහස් පෙරමුණ මෙන්ම පිවිතුරු හෙල උරුමයද විධායක ජනාධිපති ධුරය මේ මොහොතේ අහෝසි කරනවාට දැඩි විරෝදයක් පල කරමින් සිටියදී සිදුවන මෙම හමුවීම විශේෂත්වයක් උසුලයි. විධායක ජනාධිපති ධුරය අහෝසි කිරිම සදහා ජනාධිපති මෛත‍්‍රිපාල සිරිසේන, අගමැති රනිල් වික‍්‍රමසිංහ, විපක්‍ෂ නායක මහින්ද රාජපක්‍ෂ යන මහත්වරුන් එකගතාවයකට පැමිණ සිටින බවට මැති ඇමතිවරුන් කිහිප දෙනෙකුම සදහන් කර ඇත. පච කුමාරයා එක්ක එකතු වෙලා රට පාවා දෙන්න හදනවා නම් මහින්දව පොහොට්ටුවෙන් පන්නන්නයි තියෙන්නේ. දැන් මේ විධායක ජනාධිපති තනතුර බෙලහීන කරන්න හදන්නෙ මහබැංකුව හොරා කෑව නිසාද, රට අස්ථාවර වෙලා නිසාද, ආර්තිකයට කෙල වෙලා නිසාද, පලාත්පාලන චන්ද නොතිබ්බ නිසාද නැත්නම් අනුර සහ මහින්දගෙ රටට ආදරේ වැඩි කමටද? මහින්ද පච වෙන එකයි ඕකෙන් වෙන්නේ. JVP, UNP තවත් පච වෙන්න දෙයක් ඉතුරු වෙලා නෑ. Mun okkotoma minissunge votes aragena apahu kawadawath president wenna bari nisa me naaki buruwo tika ekathuwela unta corrupt wechcha 225e chanda walin prime minister wela power eka ganna hadanne. Me JVP Anurala mokkuda? Kaala kanni hatta. Hema dema awul karanawa arenna wena deyak mun danne ne. Ilanga anduwa Mahindagenan Rajithai, champikai, Sajin Vaasui, hakeem, Badhurdeen, Hondama amathi kang gatthath mamanan puduma wenne ne. ha attada. pohottuwa will govern the country next. this kalakanni anduwa is a god sent to teach the ignorant people in this country what ranil and the clan is like. So, the people have now now learnt what the fuc*** are like. Liyala thiyana dee kiyawala hariyata therun ganda beri un hinda thamai giyapaarath kelawa gatthe…. මහින්ද පහත් අවස්ථාවාදියෙක් ලෙස සටන පාවා දෙනවා. 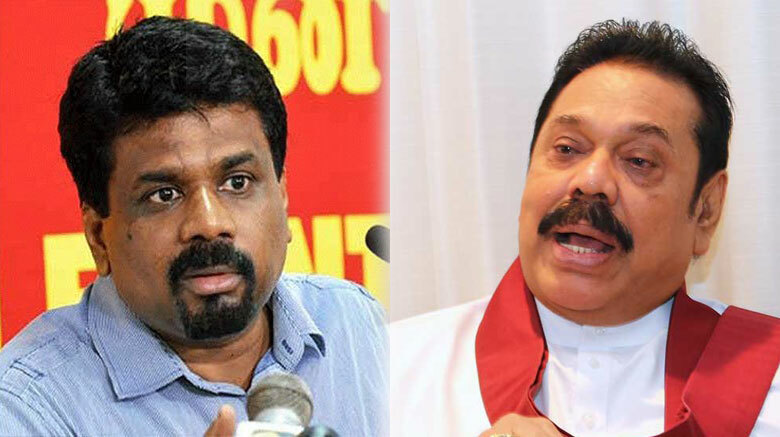 I am not a politician or a henchman but Mahinda is crazy to talk with this idiot Anura Kumara. He was crazy to invite Ranil to Rohitha’s wedding. රටට ආදරේ කවුද, රටට හෙන ගැහුවත් තමන්ට තමන්ගෙ පරම්පරාවට තමන්ගෙ පක්ෂෙට අනාගතය හදාගන්න හදන්නෙ කවුද කියල තේරැම් ගන්න එකය් දැන් ඉතින් ජනතාවට තියන ප්‍රශ්ණය. 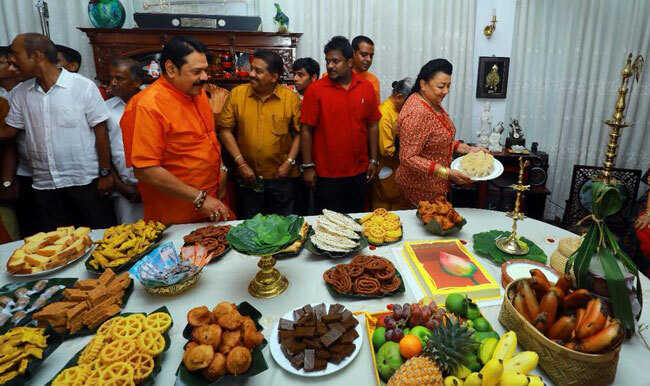 මහින්ද, මෛත්‍රී, රනිල්…..අනුර කියන්නේ විධායක ජනාධිපති ධූරය ලබාගන්න බැරි අය… රටේ ජනතාවට නෙමයෙි …ඒ අයට තමයි වීධායක ජනාධිපති ධුරය අහොසි කරන්න ඔිනි…කොහොම නමුත් සිංහලයින්ගේ අසමගිය නිසා විධායක ජනාධිපති ධුරය අහොසි වෙන එක හොඳා…..
Is seems Mahinda trying to kill two birds by single stone. By agreeing to this he can make himself the king again & get rid of Gota, Maithree and Basils drive for presidential election. He does not care what will happen to country if power given to 225 lunatics. We are Very disappointed. 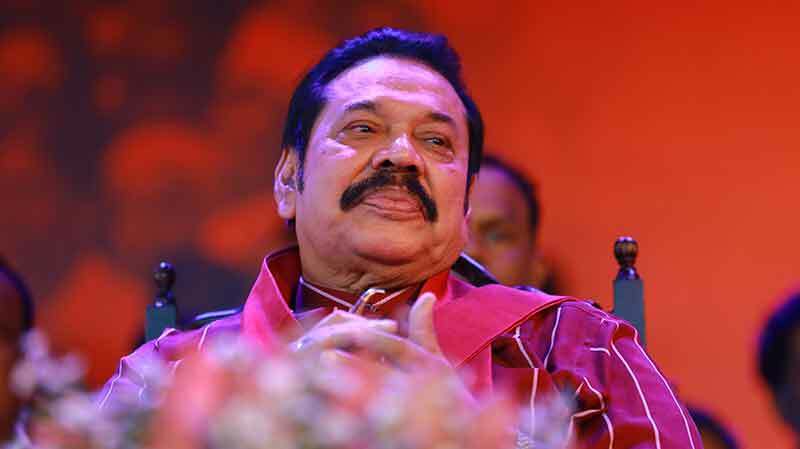 Oppertunistic politicians, Mahinda is one! 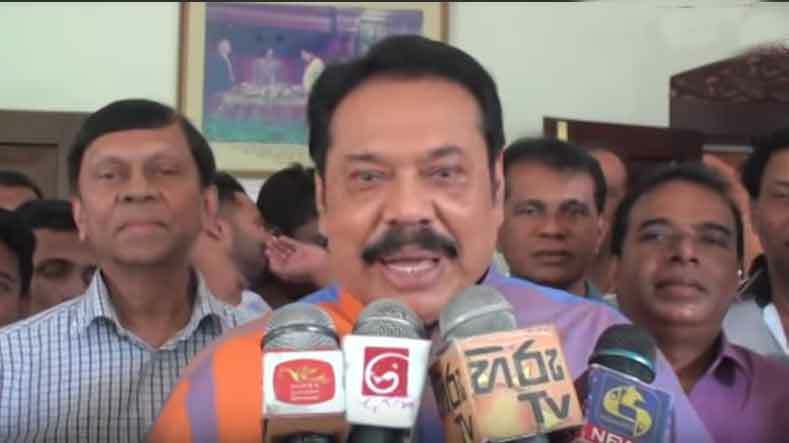 ape akkage chooty puthath topiyak dunnama kaage athatath yanawa… mona kehelmalak kalath jappo ekka muhunata uayana balan meweni saakachchaa karanna mahindata puluwanda,,? anika me eakata kaalayada.? mama hemadaama kiyanne mun seramala karanne DEAL daana ekai. Pahuweddi thama apita mewa therenne..
Chintaka, ypu are perfectly right. Now Gota will reject this puppet presidency and go back to US. Same old corruption will start again. These people will try to prevent the referandum somehow. This is the discussion with the JVP. If a referandom is held people will never allow abolision of executive presidency. 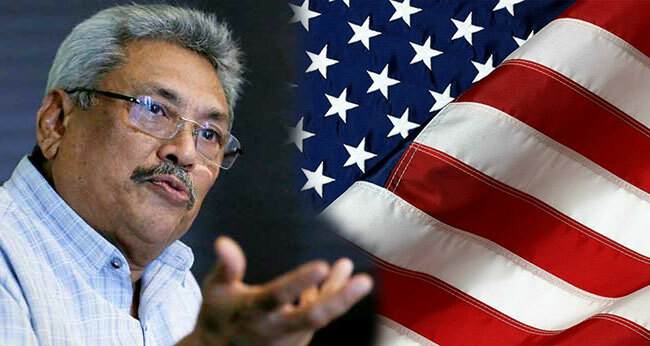 These days Mahinda Rajapakse should be offered nobel peace price to him. Though he was a king after killing prabakaran, then became bad man due to corruptions , but now he shows as a man of the match after having opposition leadership. By this he will win UNP and tamil votes. For this Gammanpila and Wimal will opposite as they are sinhala extremists. 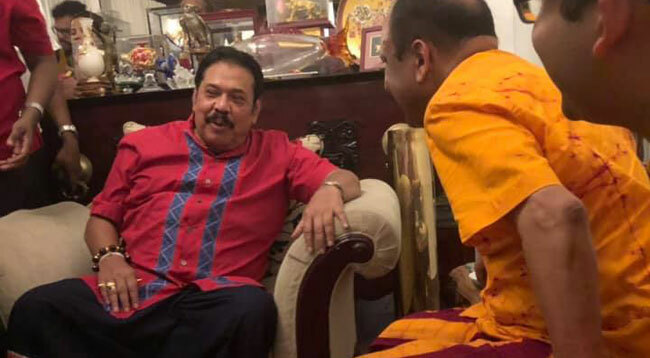 ඔය අනුරයා කියන ඒකා jvp කොල්ලන්ව පාවලා දුන්න මාහා ගෝනි බිල්ලා , එක නිසා මහින්ද මහත්තයෝ ඔකාගෙන් ප්‍රවේසම්වන්න. We are completely against abolishing the post of PRESIDENT, by a new referendum , which is not a good idea at all!!! Can’t trust JVP and their ulterior movie.!!! We need a President with extraordinary powers and not a Prime Minister with such powers.!! 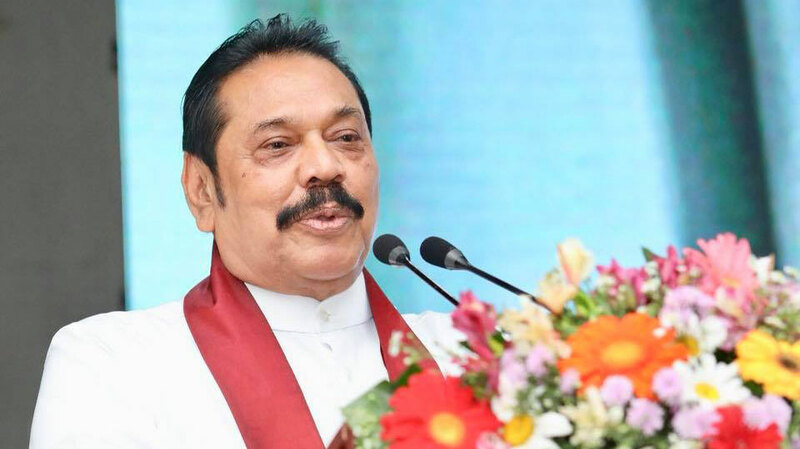 We wanted unitary state of Sri Lanka. We cannot agreed with any political parties who wanted to change power of President of Constitution . Our stand will not change even MR wanted to be shifted to Federal Constitution proposed by JVP TNA and UNP ? There is no mandate for shifting to Federal Constitution proposed by JVP TNA and UNP??? @. Ongoing political-economic crisis of not that system of Presidency rule of government .It root causes are Neo-liberal Economy base system has undermined democracy and Economic Development . Look at root cause of that UNP is key enemy of People! yes! I completely agree with you. However, any party leader can meet opposition leader, MR or someone.So any patriotic people should not worry about this meeting! Let see what will happen after their meeting. Onething i should say. The executive presidency is a must for the country at this juncture. If anyone tries to abolish it means they are going against the will of the majority of the country. One warning. MR should not overestimate his popularity. Everything depends on the wise discisions he takes as a true statesman. MR must not take selfish discisions. 99 percent of SLPP voyers are against the abolition of executive presidency. If MR cannot perceive it please go to Galleface n’ fly a kite. එක්කො අපිට පිස්සු, නැතිනම් මහින්දට පිස්සු! මේ මුසාවේම ගැලිල රනිල්ගෙ පස්ස ම හොඅදන එකා එක්ක මොන කතාද? රටේ කිසිම දියුණුවක් වෙනව ඉරිසියා කරන මේ ජ්විපෙ හැත්ත එක්ක මහින්දගෙ ගනුදෙනුවත් එක්ක අපි මහින්දගෙන් දුරස්වෙනව! වදකාගාර රනිල් රකින, යුඑස් ඩොලර්කපුටන්ට යටත්වෙන මහින්දට පිස්සුද? ජ වි පෙරමුණට දෙන සෑම ඡන්දයක් ම භීෂණයට දෙන ඡන්දයකි. සිංහල බෞද්ධ සංස්කෘතියට එරෙහි ව දෙන ඡන්දයකි. දෙමළ ජාතිවාදයට දෙන ඡන්දයකි. ඉංගිරිසි යටත්විජ්තවාදයට දෙන ඡන්දයකි. MR ,ලපයා ගෙ ලනු කනවා.